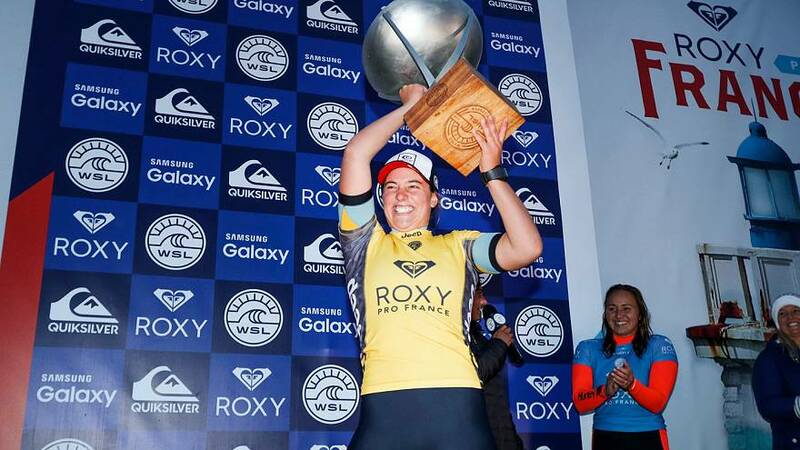 Australia’s Tyler Wright won the women’s World Surf League season-long title this week following a second placed finish at the Roxy Pro France. The victory in Hossegor, just north of Biarritz was Wright’s fourth triumph from nine events this season and it put her in an unassailable lead at the top of the standings with one stop left. Her first ever world title after two second placed finishes follows an emotional year for Wright and her family. “There’s a lot of reasons why I set out to win this world title this year. A lot of reasons I didn’t mention to the public. Last year was such a hectic year, even this year. I lost an uncle and this was his last event that he ever saw me compete in,” Wright said after the win.